BHP said recovering the train and fixing the track—a key access route for the enormous mining facility—will take around a week. 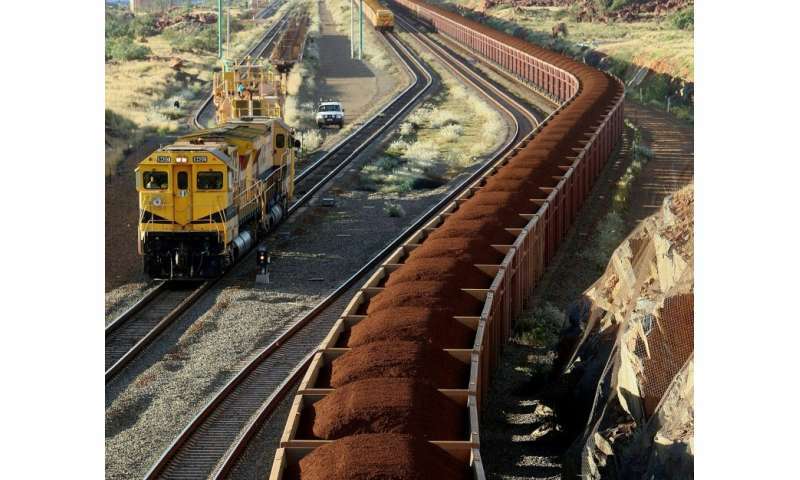 Australia is one of the world's major sources of iron ore. The Australian Transport Safety Bureau said it was investigating Monday's incident. BHP's shares were trading 1.21 percent lower at Aus$33.14 in Sydney Wednesday amid reports in Britain that the Anglo-Australian firm was facing a £5 billion (US$6.5 billion) lawsuit over the deadly Samarco dam failure in Brazil in 2015. Nineteen people were killed and a wave of toxic waste was unleashed when an dam burst at the mine in one of Brazil's worst environmental disasters.